Play with more light at The Daily Post. That is so cool! 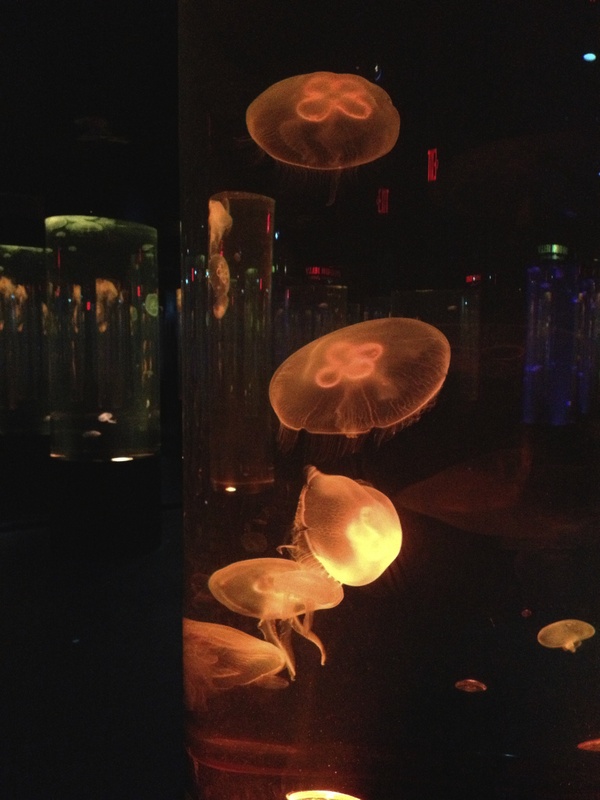 Were they real jellies or fake, indoors or out? They’re real and in the Aquarium at the Mall of America in Minneapolis. That section is pretty cool because I don’t think it’s really big, because I think they use mirrors. When the jellyfish change colors it kinda makes me think of a lava lamp.